The Tesla CEO seemingly doesn’t care about shareholders’ opinions. 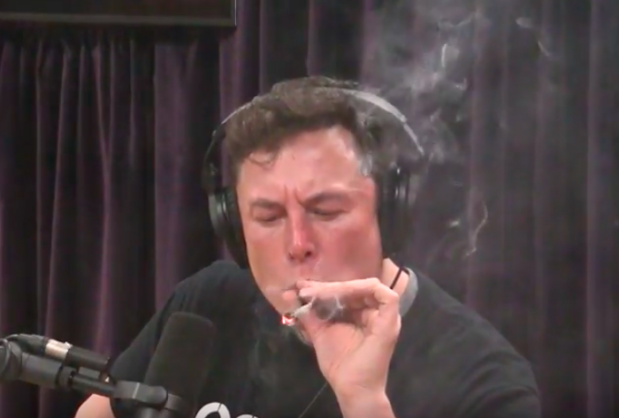 Eccentric business magnate, investor, and engineer Elon Musk surprised many when he smoked marijuana during a recent live interview with comedian-turned-podcast-host Joe Rogan. During a two-hour interview, the pair spoke about a range of topics including the Tesla CEO’s upcoming innovations, public perception about him, how consumerism is fuelling technology and innovation, among a number of other topics. “No. It’s uh, marijuana and tobacco,” responded Rogan as he passed the joint to a colleague off-camera. “You probably can’t do this because of stockholders, right?” Rogan asked Musk, before offering him the joint. “I mean it’s legal, right?,” Musk asked, before accepting the cigarette and taking a puff. The pair then spoke about drugs and alcohol before ending off the interview. Marijuana consumption is legal in the state of California, where the podcast is based, reports My Broadband.